Lawmakers, officials, military leaders, and foreign mission chiefs from North Atlantic Treaty Organisation member states are among the participants at the meeting, set to end Sunday. The Libyan Obsever reports that a spokesman for Khalifa Haftar's forces, Ahmed Al-Mismari has claimed that boats carrying weapons to the "terrorist groups in Tripoli" are leaving from Turkey via Malta to the shores of Tripoli. But analysts believe the campaign on the capital of a UN-backed government could potentially reignite large-sale fighting among the country's rival powers and undermine worldwide efforts to reunite the fractured North African nation. 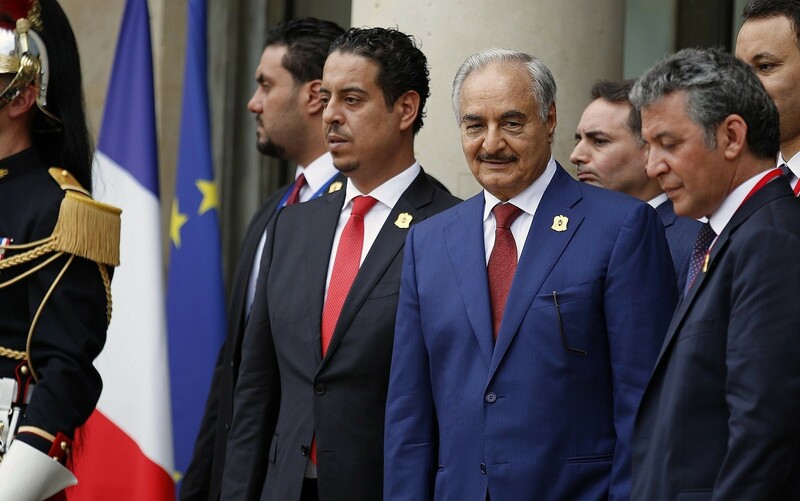 Haftar, who leads the self-styled Libyan National Army (LNA), has pushed from his powerbase in the country's east toward the Libyan capital in the west, the seat of the UN-backed unity government led by Fayez al-Sarraj. Islamist militants have since controlled large parts of the vast country, including the capital Tripoli. Haftar's forces, which control swathes of the country's east, launched an offensive earlier this month to take the Libyan capital, defying global calls to halt their battle against fighters loyal to the UN-backed Government of National Accord based in Tripoli. The UN's humanitarian coordination office, OCHA, said on Saturday that three medical personnel had been killed and that shrapnel had put five ambulances out of action. On Saturday, the Tripoli-based Interior Minister of the Presidential Council's government Fathi Bashagha accused the United Arab Emirates (UAE) of reportedly sending Haftar military support in "clear violation of the worldwide law". He returned to Libya in 2011 when the uprising against Gaddafi began, to command forces that would eventually topple the longstanding dictator.